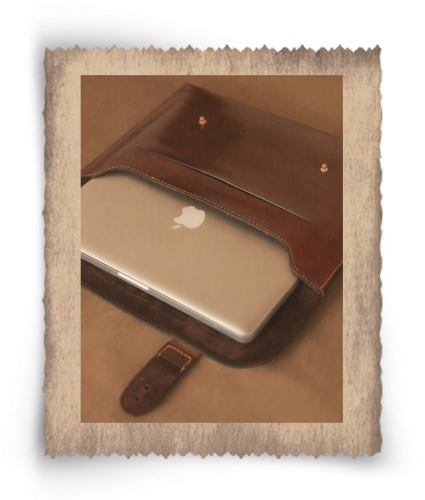 This is the most ellegant slip for your MacBook ever. 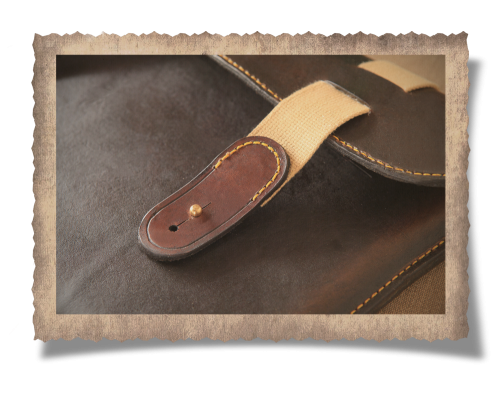 Crafted from top grain veg tanned leather that we hand dye then rub with our own mixture of beeswax and animal fat. 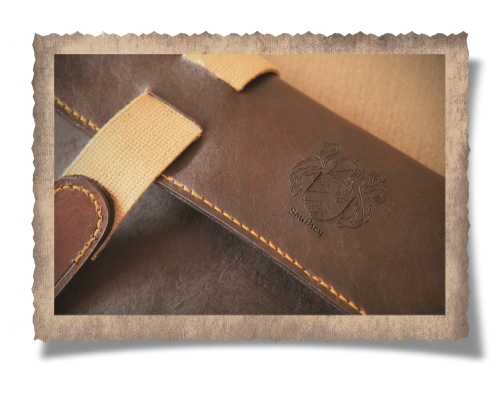 For as little as R150 we can personalise your Mac Bag and laser engrave your name or family crest into the leather. 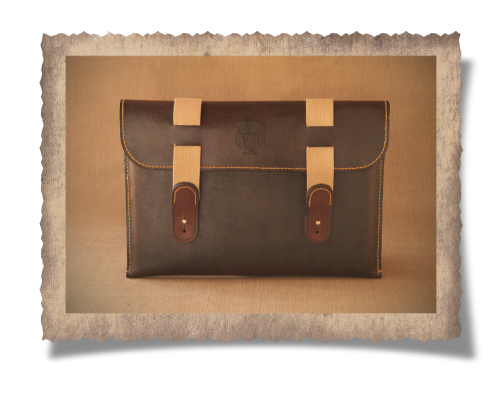 As all our products are hand crafted and custom made we can shape the Mac Bag for any size personal computer. 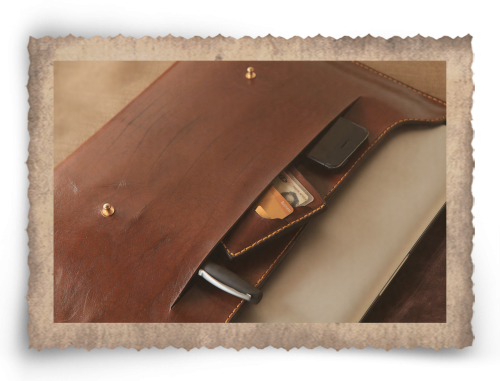 Your Mac Bag has a convenient pouch to slip your phone, pen and wallet in. 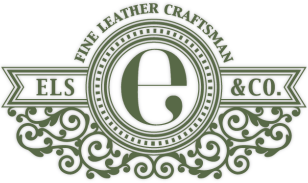 For easy openening and closing we use solid brass studs purchased from small artisanal foundries in the UK.